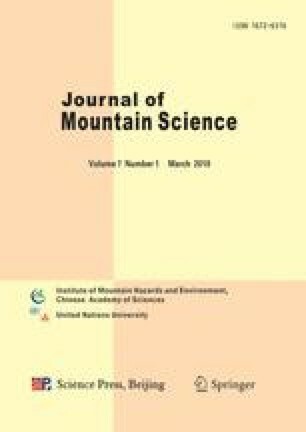 This paper reports the dynamic changes of soil and water loss in the red soil region of Southern China since the 1950s. The red soil region covers eight provinces: Jiangxi, Zhejiang, Fujian, Anhui, Hubei, Hunan, Guangdong and Hainan. From the 1950s to 1986, the annual rate of soil erosion increased by 3.4%. From 1986 to 1996 and from 1996 to 2000, the annual rates of soil erosion decreased by 2.0% and 0.32%, respectively. Field surveys showed that from 2000 to 2005, the area of soil and water loss decreased annually by 1.2%. This decrease was a result of large-scale erosion control activities across China. Although the eroded soil has been restored, the restoration process is very slow and full restoration will take a long time. Our report suggests that controlling soil and water loss is a challenging task, and additional measures must be taken to effectively control the soil erosion in the red soil region.